Workers needed: It needs 3 shifts per day; every shift needs 6-7 workers. 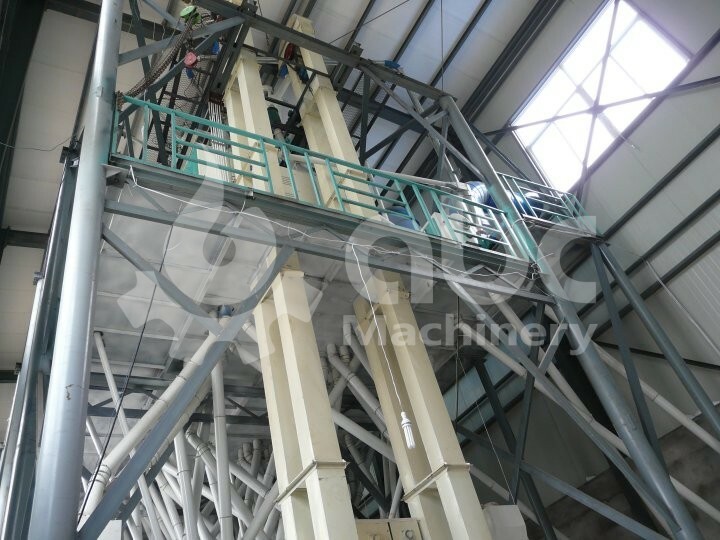 Full steel structure, new appearance design, easy installation and small occupation. 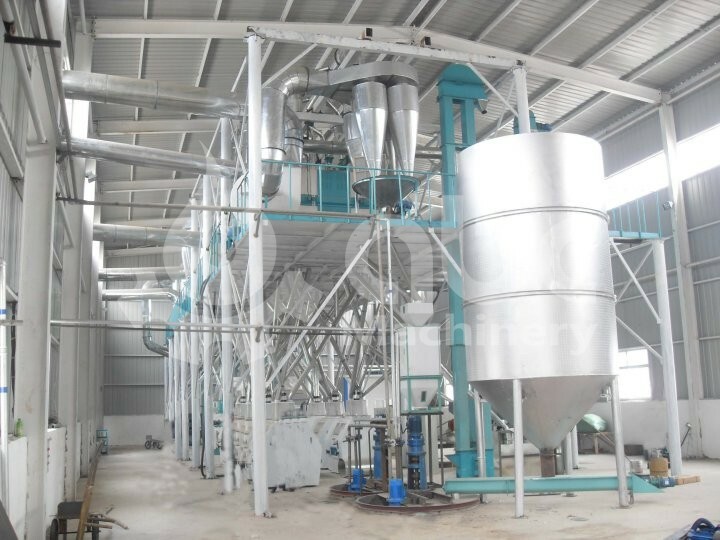 Dry cleaning and advanced embryo pressing and extracting process make it able to extract pure endosperm. 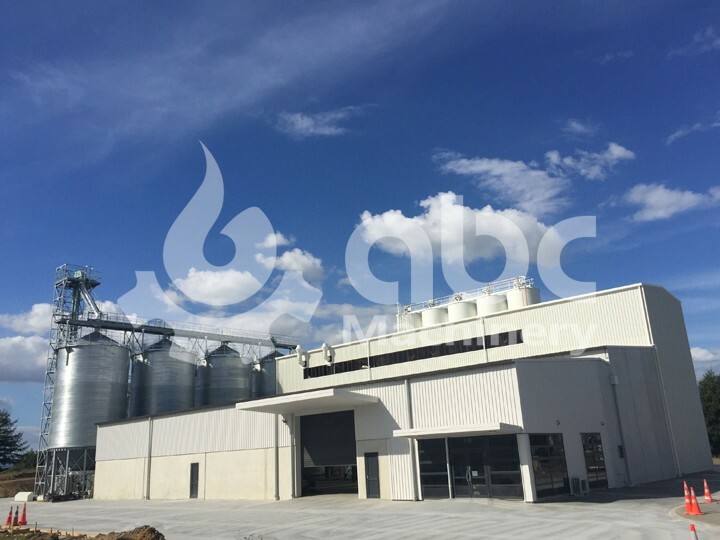 Besides, it adopts international advanced flour mill with stable performance and high flour yield, able to process high-quality corn slag and corn flour. 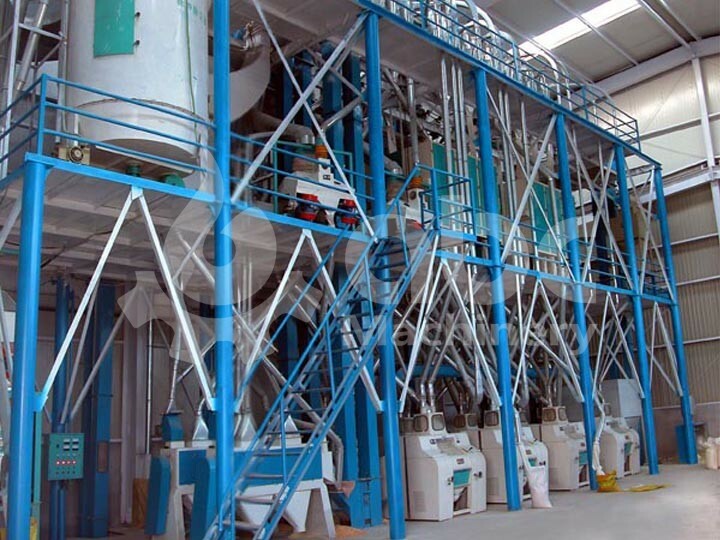 The flour screening adopts efficient plan-sifter; the screen adopts stainless steel wire mesh, difficult for blocking. 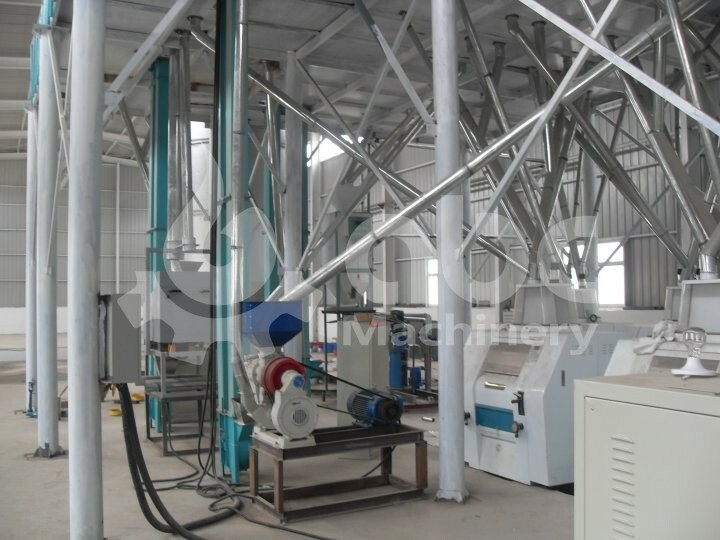 The whole machine adopts pneumatic and negative pressure transmission, not only preventing smell from leakage, but also reducing workshop dust and drying the flour in this process. The air outlet of the blower can be equipped with pulse de-duster, making your working environment cleaner.